After all these years at Art Basel we know art comes in many shapes and sizes (and price tags). 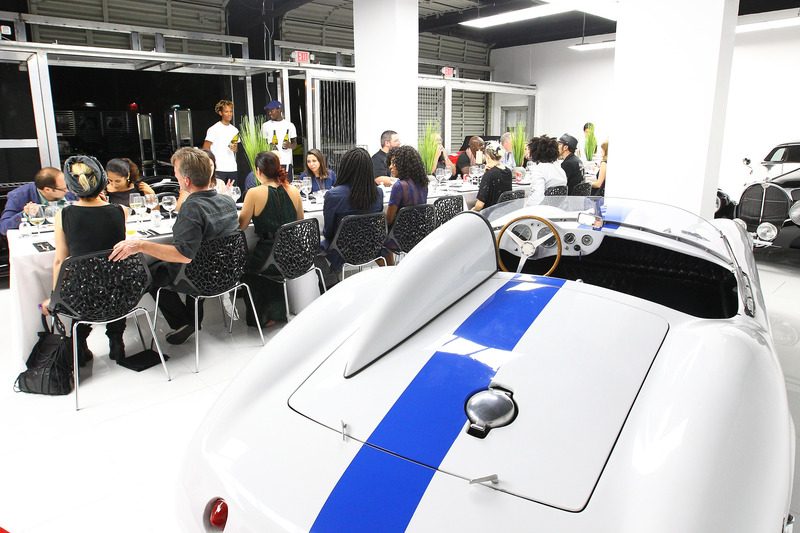 So it was no surprise that the soft opening of Miami Supercar Rooms, the nation’s first Auto Art Gallery and Gourmet Dining Experience, located in Wynwood, should happen during Basel week. We attended the invitation-only private dinner where former male model and British-born automotive visionary behind the London Motor Museum, Elo welcomed 20 guests to an intimate gathering in the brightly-lit white-on-white showroom where a long communal table was flanked on either side by vintage and custom-designed automobiles. Guests dined on Peruvian-inspired dishes of tuna tiradito topped with salmon roe and ceviche with purple potatoes while Elo and wife Mai mingled with guests which included actor Jimmy Jean-Louis from NBC’s “Heroes Reborn” TV show. The cars inside the showroom varied from frisky classics to theatrically tricked-out speedsters. There was a glossy black Batmobile-esque ‘Rolls Royce Bootch,’ a blue and white ‘450 S Maserati’ racing car, a ‘Delahaye Pacific,’ a ‘Delahaye Bugnaughty,’ and a lipstick red ‘196 SP Ferrari’ racing car. 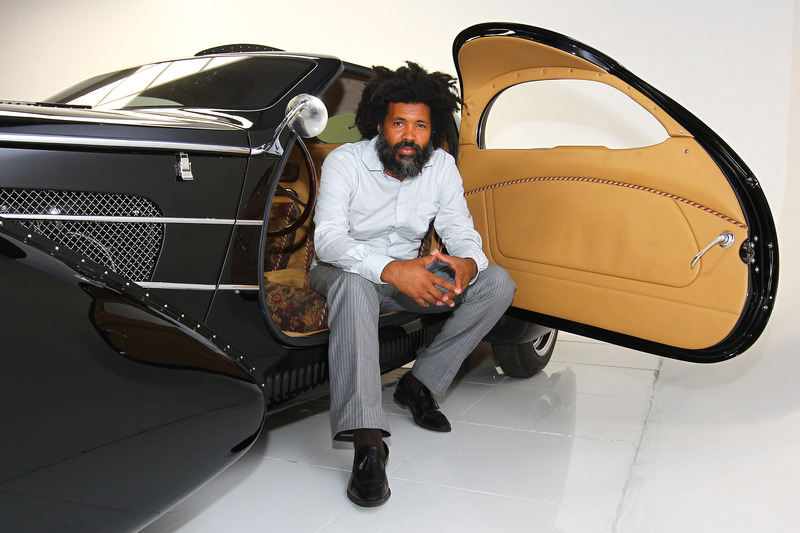 When Miami Supercar Rooms officially launches in February it will feature a spacious open-air patio featuring six aluminum “Pods.” Each Pod will house a Supercar that accompanies a comfortable private dining banquet for groups who will dine in the presence of these collectible vehicles.